Loss of Limb Injury Attorney in Houston - The Gerardo Cantu Law Firm, P.C. The most important thing for accident victims is to get quality care from top medical providers. If you or a loved one has suffered loss of limb, that should be your focus. Gerardo Cantu will help by using resources to see that you get the necessary medical care. Only after we are certain that you are being properly cared for will we take the next step: going after those who are responsible for the accident and pursuing compensation for the loss of limb injury. You pay nothing unless we win your case. At The Gerardo Cantu Law Firm, P.C. in Houston, Texas, we handle all loss of limb cases on a contingency basis. You can turn to us for help with accidents involving the loss of any limb, including loss of toes, loss of fingers, loss of feet, loss of hands, loss of arms or loss of legs. These types of injuries can lead to lifelong care needs. Our lawyers will bring in medical experts and life care planners to assess the level of care that you will not only need today but the care you will need for the rest of your life. When we build your case, we will design it to get you the compensation you need to cover all of your needs. If it means taking your case to trial, then that is what we are willing to do. In fact, we have a reputation for success at trial. They don’t want to fight us. Contact us for a free consultation: Call us or send us an e-mail. Get in touch with us today to discuss your loss of limb injury case with an experienced lawyer. The Gerardo Cantu Law Firm, P.C. serves the Greater Houston area and surrounding counties. 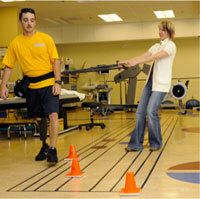 If you have been affected by a loss of limb injury anywhere in Texas, contact us for a free consultation.